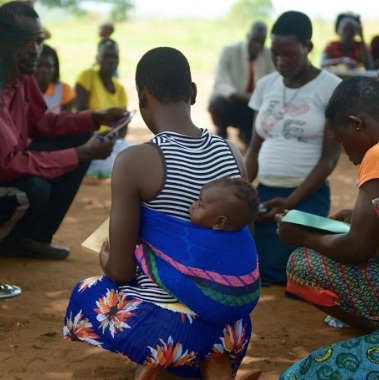 Can low-literate community health workers treat severe acute malnutrition? A study of simplified algorithm and tools in South Sudan. Check out the latest publications of IRC’s research on low-literate CHWs tools to diagnose and treat severe acute malnutrition at the community level. Fortune: Lucas Laursen outlines how the 2018 Global Nutrition Report, co-funded by ECF, highlights the global challenges of malnutrition. Scaling Up Community of Practice: Read about how ECF is incorporating considerations of scale and sustainability into all our future grants. Austin American-Statesman: Admiral McRaven and Congressman McCaul argue that “A generation of hundreds of millions of malnourished, and physically and cognitively stunted, adults contributes to instability and fragility [around the world].” Read more on why global hunger is a major national security concern. ECF is pleased to share the findings from our Key Expert Consultation in this report, "Minding the Undernutrition Evidence Gap". The report synthesize findings from a consultation of 62 nutrition experts, including practitioners, academics, donors, and policymakers, on evidence gaps and priorities in global nutrition. lt's the World's Biggest Health Problem. Who's Paying Attention to Malnutrition? Inside Philanthropy: Sue-Lynn Moses gives an overview of recent funding pledges to fight malnutrition - including ECF's $100 million commitment - and how these pledges are helping to tackle the world's biggest health problem. Devex: Ambassador Tony P. Hall and Lucy Sullivan on why nutrition interventions are a critical investment. "Although we know how to fight this issue, action requires investment. Without a global coalition of leaders dedicated to the plight of [hungry] children, the world will not be able to mobilize the relatively modest amount of resources needed to overcome the devastating consequences of malnutrition." Devex: ECF's $100 million commitment to ending malnutrition was among those made at the Global Nutrition Summit, which resulted in $640 million in new pledged funding commitments to advance the global response to malnutrition. ECF is excited to announce the recent hiring of three additional staff members to support our growing grant portfolios. Global health nutritionist Chytanya Kompala has joined ECF as our new Nutrition Research Program Officer, in charge of administering grants in our RISE and Uganda Grassroots Nutrition portfolios. Recent Masters graduate Emma Feutl Kent will be coordinating ECF’s internal systems as our new Administration and Coordination Officer. Finally, Solianna Meaza is the newest member of our team, and has joined ECF as our Advocacy Program Officer. Solianna is based in Washington D.C., and will administer ECF’s Advocacy grants portfolio. We are thrilled to welcome them to our team and the look forward to working with you! 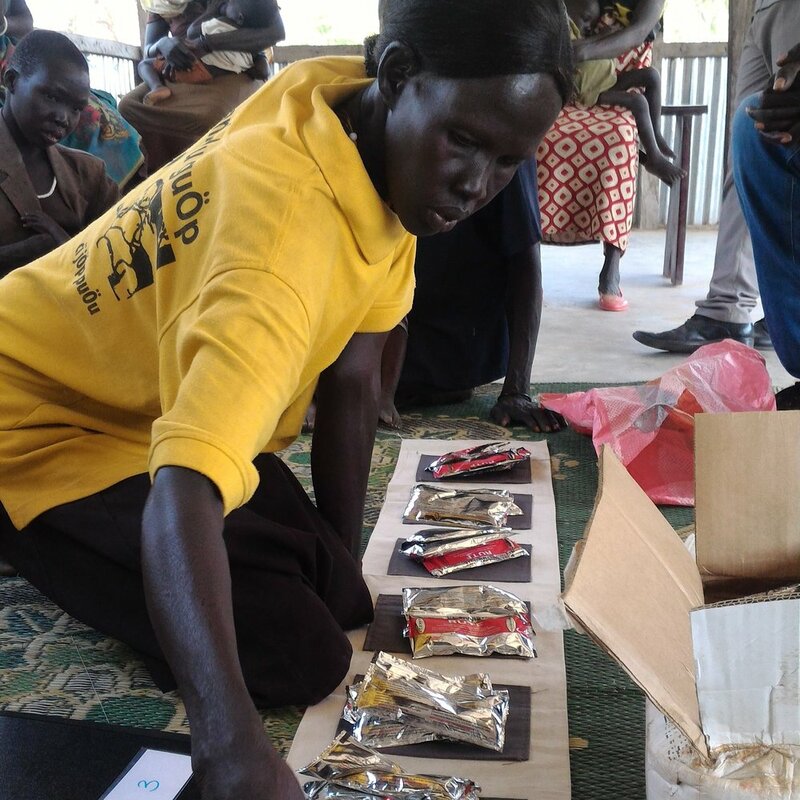 Through an Eleanor Crook Foundation RISE for Nutrition grant, the International Rescue Committee (IRC) researches ways to improve treatment of severe acute malnutrition in South Sudan. A new set of easy-to-use, low-literacy tools could allow community health workers to provide treatment for acutely malnourished children without medical complications in their own homes. This research has the potential to transform treatment of uncomplicated severe acute malnutrition on a global scale. 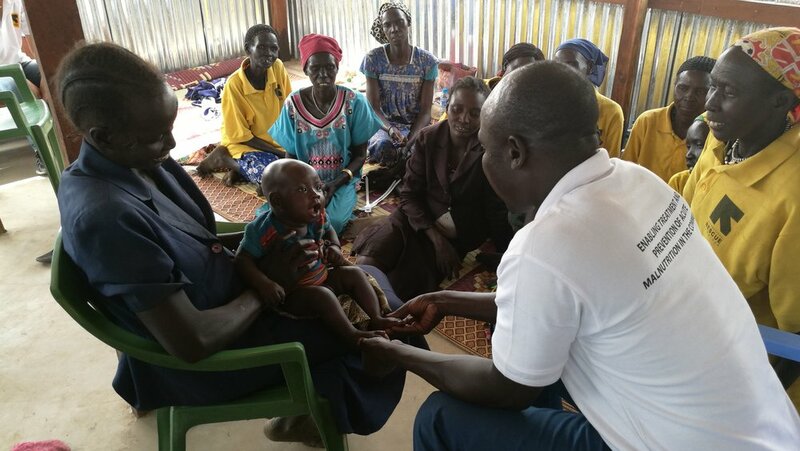 IRIN: Learn more about the International Rescue Committee's ECF-Funded project to help low-literacy community health workers diagnose and treat severe acute malnutrition. photo: Eleanor Crook posing for a photo during an award ceremony to accept the President’s Volunteer Service Award for Lifetime Achievement photo credit: Brian Birzer for Bread for the World. Business Wire: Eleanor Crook and her late husband, Ambassador William H. Crook, receive the President’s Volunteer Service Award (PVSA) for Lifetime Achievement. The Chronicle of Philanthropy: ECF's Executive Director, William Moore, and Mauricio Lim Miller on talking about risk with grant makers. How should the world respond to the Syrian refugee crisis? World Economic Forum: Mercy Corps' ECF-funded school lunch program for refugees in Lebanon has a unique design and is having an impact that extends far beyond the school walls.